Stocking 1200+ varieties of whiskey and bourbon, The Whiskey House can serve your spirit straight up, as part of a flight, or muddled in craft cocktails. As if the name of this establishment left you in any doubt, The Whiskey House is passionate about its whiskeys. With a staggering collection of over 1200 different varieties, many proudly displayed behind the bar, The Whiskey House is a shrine to distilled grains. 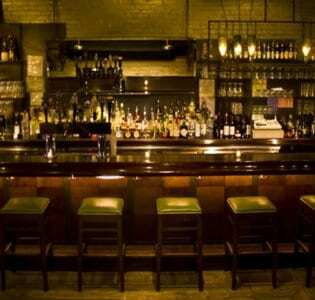 The cute and unassuming red brick building in which The Whiskey House is located does not give any illusion as to the eclectic interior inside. Huge, bulbous lightshades, padded walls and baroque-patterned drinking booths all add an air of intimacy and coziness that can sometimes be missing in specialist bars such as this one. The boon of The Whiskey House is that it isn’t an intimidating place, even to those uninitiated in the art of drinking and appreciating whiskey. The staff are extremely knowledgeable and will happily produce a whiskey “tasting session” suited to your palate, allowing you to sip four or five different international varieties at a time. We simply don’t have space here to list the array of labels that The Whiskey House stocks, but let’s just say that, with this large a selection, there’s no doubt you’ll be able to find a favorite. 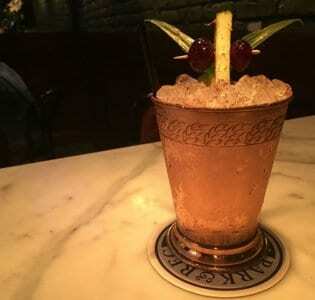 If you prefer to drink your spirits mixed in a cocktail, The Whiskey House offers a range of craft cocktails; admittedly, mostly involving whiskey and bourbon. 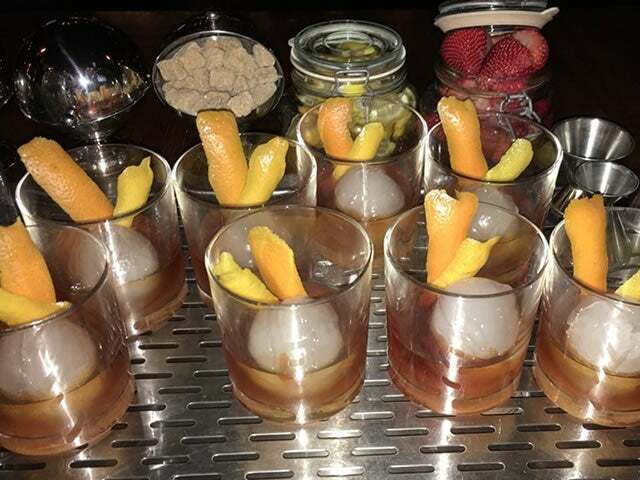 A couple of our favorites include the Slight Concussion (whiskey, chamomile-infused bourbon, Italian liqueur, lemon juice and simple syrup) and the Bark Bark Berrie (strawberry, bourbon, lemon & lime juice, cinnamon bark syrup, orgeat and bitters). There’s many craft beers on draught, and a decent wine list, and to help soak it all up, a now-famous selection of homemade sausages (Sweet Italian and Spicy Chipotle & Cheese being a couple of the varieties on offer) served on fresh rolls.